Provide comfort for the family of Gary Mills with a meaningful gesture of sympathy. 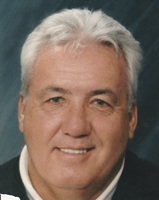 Funeral services for Tulsa resident, Gary Dean Mills, were held 2:00 p.m. Monday, April 8, 2019 in the Memorial Chapel of Michael’s Funeral Home of Drumright. Rev. George Brock, III of the Olive First Baptist Church officiated. Interment followed in Drumright North Cemetery with military funeral honors provided by the United States Air Force. Funeral arrangements were entrusted to the care of Michael’s Funeral Home of Drumright. Gary Dean Mills was born in Drumright, Oklahoma on October 23, 1948 to the late Lucian Mills & Wilma (Wood) Mills. He passed from this life in Tulsa, Oklahoma on April 3, 2019 at the age of 70 years, 5 months, & 11 days. Gary was raised & educated in Drumright & was a 1967 graduate of Drumright High School. He joined the United States Air Force in 1968 & served his country honorably during the Vietnam War. He married Debra Bebel in 1969 & to this union 2 daughters were born; Shelly & Drue. After being discharged in 1971, the family lived in numerous places around the country, but always considered Drumright home. At a young age, Gary had worked in the oil fields, then in sales, and most recently in wholesale electrical supply. Since the 1990’s, he has resided in Tulsa. On August 14, 2000 he married Monika Rapp & they have remained together until his death. He leaves behind his loving wife: Monika Mills of Tulsa; 2 DAUGHTERS: Shelly Weaver & husband Steve of Drumright – Drue Mills of Stillwater; GRANDCHILDREN: Brendon Turner – Bailey Collins – Dalton Weaver; GREAT GRANDCHILDREN: Brylie Turner – Bristol Turner – Brynlee Turner; 2 BROTHERS: O.G. Mills & wife Vera of Tulsa – Ricky Mills & wife Barbara of Norman; & numerous other relatives & friends. 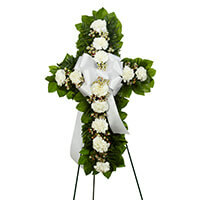 Online condolences may be expressed at www.MichaelsFuneralServices.com. 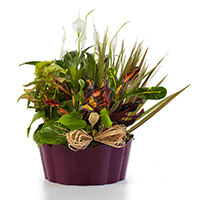 To send flowers in memory of Gary D. Mills, please visit our Heartfelt Sympathies Store. Randy & Janice Nobles and OGE/CMGMT have sent flowers to the family of Gary D. Mills. Randy & Janice Nobles purchased the STANDING CROSS-WHITE for the family of Gary Mills. Much Love to Gary’s family, Rick & Orville Gene, Sharon & June. He loved his girls, Shelly & Drue, thinking of you both. Sending comfort to Monika. Gary & I were friends since we were 5 yrs old. Many many memories. He is not physically here but his spirit always will be....Rest in Peace, Gary Dean, you deserve it. Gary and I were friends(good friends) from the time we were 5. We were always together during our younger yrs and always getting into trouble. We even failed the 5th grade together! I can say he was my life long best friend. I remember the nite my Daddy passed away, I was 12. Gary snuck out his bedroom window and walked across Drumright to be with me. His Mom and the preacher were already at our house, and his Mom scolded him for doing what he did, and Gary replied, "Well, Herbert would have done it for me." Sure gonna miss you friend. Will never forget you and our friendship. Losing a loved one is difficult. We’ll keep your family in our thoughts and prayers. OGE/CMGMT purchased the Plants-A-Plenty for the family of Gary Mills.